Welcome to Arizona Storage Inns located in Phoenix near the intersection of 35th Avenue and Thomas Road. 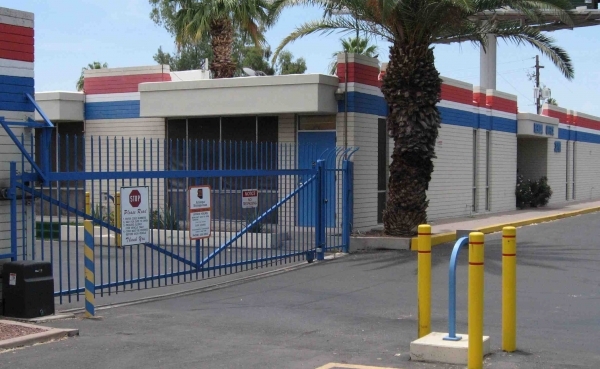 Our self storage facility offers extended gate access hours, video surveillance, drive up access to all storage units, and electronic control access gates. Ask about the rent free use of our moving truck when you rent a storage space. We have a variety of storage unit sizes* ranging from 5' x 5' to as large as 15' x 25'. Whatever your storage need, we have the solution to your storage problem. Thank you, we appreciate you for being our customer. I would definitely recommend this place to any one looking for storage! Itâs safe, clean & someone lives on-site!